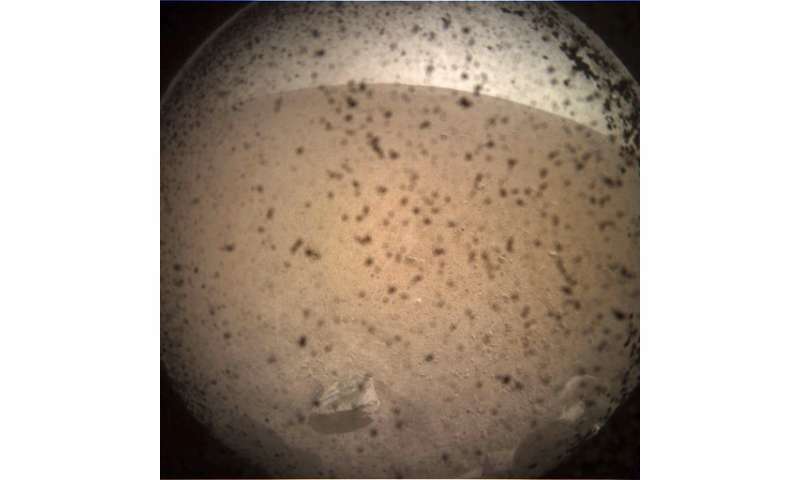 The picture was speckled with dirt because the dust cover was still on the lander's camera, but the terrain around the spacecraft looked smooth and sandy with just one sizable rock visible—pretty much what scientists had hoped for. Better photos are expected in the days ahead, after the dust covers come off. 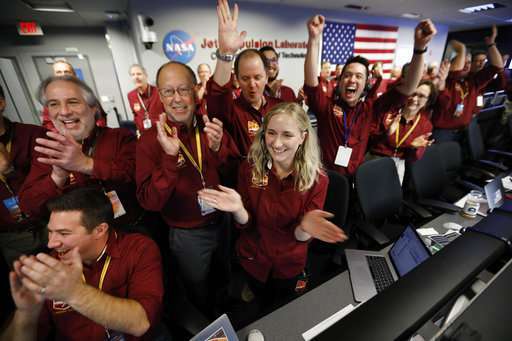 It was NASA's—indeed, humanity's—eighth successful landing at Mars since the 1976 Viking probes, and the first in six years. 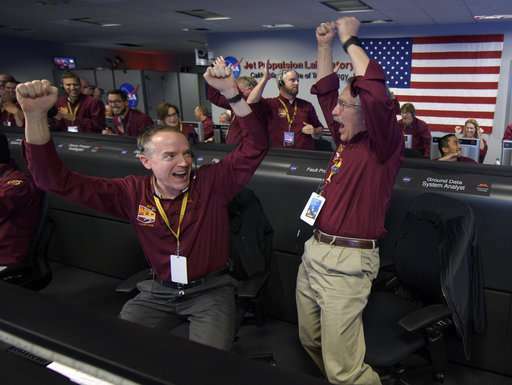 NASA's Curiosity rover, which arrived in 2012, is still on the move on Mars. 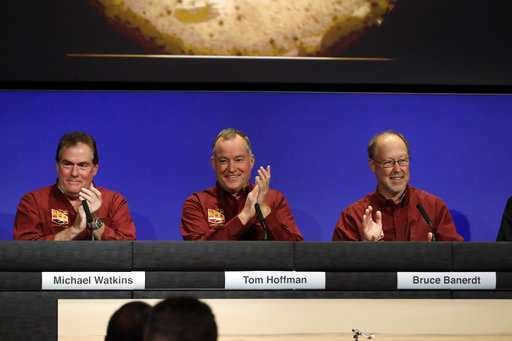 Over the next few "sols"—or Martian days of 24 hours, 39½ minutes—flight controllers will also assess the health of InSight's all-important robot arm and its science instruments. So exciting to watch this succeed step by step all the way down. Excellent. We will learn much from this mission. Congratulations to all involved. Given the orbiters have spotted several new, if small-ish impact craters, the seismometer may get useful data before Mars' internal processes shift. The impact and deep-quakes collected by Lunar Apollo instruments proved priceless. Rather than Wasting Billions for the sake of people of next millennium (who would then think that We are Neaderthals), we could have spread out floating solar panels all over the oceans for the same amount ! If you are racially White, then chances are that you do have a small percentage of Neanderthal DNA. 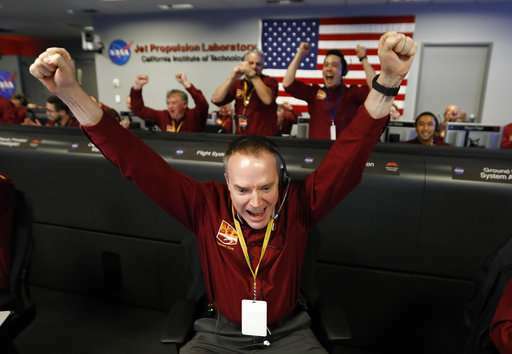 NASA has a yearly budget to spend, and a touchdown on Mars makes good Public Relations. 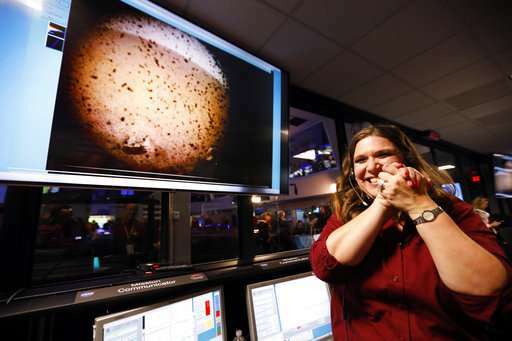 Think of it also in that the JPL complement that you see in the photos above are earning their salaries. Those solar panels that you are referring to would have to be anchored to something so that they couldn't float away. Expecting another "1" rating from daSchniebo now. 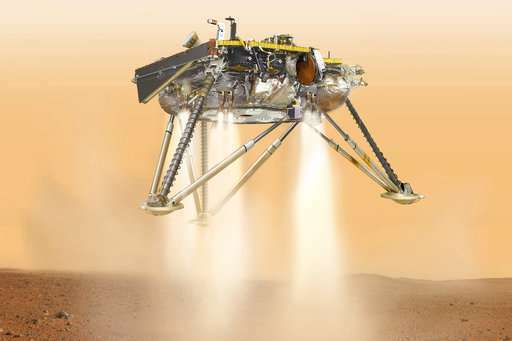 Barrett, who heads InSight's instrument operations said that the process of setting the instruments on the ground will take 2-3 months, followed by another month or two to drill and begin getting science data back. 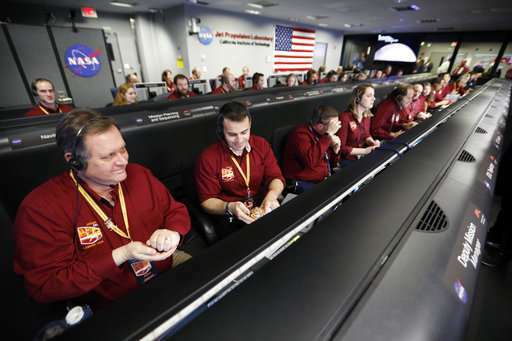 All told, science portion of the mission will begin in March 2019. This is very good. Now, stop wasting money on the worthless ISS and they could do dozens of these missions, including ice-drilling probes to the moons of the gas giants. The ISS isn't worthless. 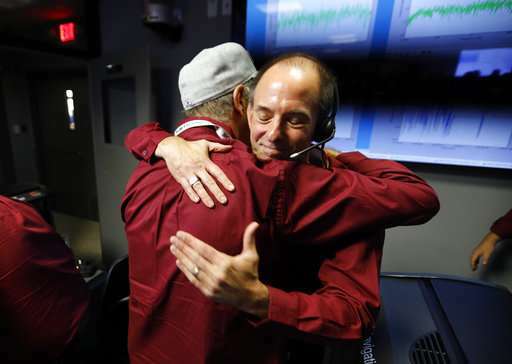 They have been doing very important science experiments aboard and outside of the ISS, as well. 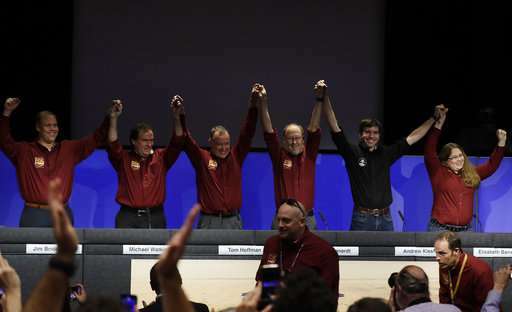 The astronauts who have remained on the ISS the longest have exhibited physical changes such as lengthening of their body due to weightlessness - stuff that would not have been discovered on the surface of the Earth - but only in LEO. Another good thing about the ISS is that it fostered a good relationship, interdependence and camaraderie between astronauts/cosmonauts from different nations, ethnicities, races and genders. Quite like a miniature United Nations it is. We aren't yet into the era of Buck Rogers or Han Solo, so yes, we will just have to settle for probes, rovers and landers, at least for awhile. 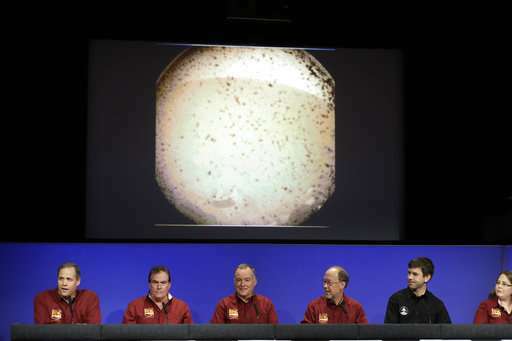 This article is about the plain on Mars. Elysium Planitia, located in the Elysium and Aeolis quadrangles, is a broad plain that straddles the equator of Mars, centered at 3.0°N 154.7°E. It lies to the south of the volcanic province of Elysium, the second largest volcanic region on the planet, after Tharsis. Elysium contains the major volcanoes Elysium Mons, Albor Tholus and Hecates Tholus. Another more ancient shield volcano, Apollinaris Mons, is situated just to the south of eastern Elysium Planitia. 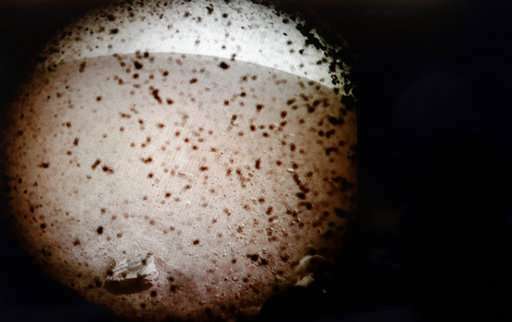 Opportunities close up near its landing site showing thousands of tiny spherules blueberries of bluish tint contain hematite an iron-oxide mineral precipitated from water Such concretions are found on Earth. Just because I find this interesting: speed of sound is quite a bit lower on Mars (240m/s vs. 340m/s on Earth)...though shouting won't do much good since atmosphere is only 1% as dense.